Certified Nurse Aides are important members of most health care teams. Under the supervision of a registered nurse, they assist in providing quality and compassionate patient care by performing tasks that involve both indirect and direct patient care. 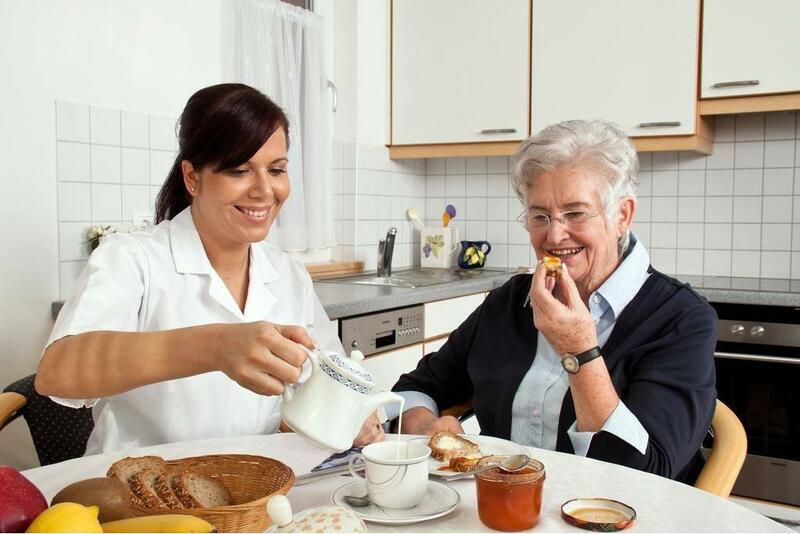 They work in hospitals, nursing homes, assisted living facilities, adult day centers, and home health agencies. Wherever there’s a need for personal care, CNAs are the ones who provide for the basic needs of patients who cannot help themselves. Since nurse aides have extensive daily contact with the patients, they’re entrusted with the task of reporting vital information on the patients’ conditions to nurses and other members of the health care team. Adequate training, as outlined by the Utah Nurse Aide Registry, prepares prospective nurse assistants for this task as well as other responsibilities, such as documenting patient information, patient hygiene, patient transportation and their overall comfort. The following CNA training providers in St. George give students the confidence to pass the Utah Nurse Aide Competency Evaluation for inclusion on the state registry. Students enrolled in Ridgeview CNA’s course complete the state’s requirements for training in just nine weeks. The school offers two evening options (Monday and Wednesday) and (Tuesday and Thursday), and a Saturday option. Classes run from 5:30 pm to 9:30 pm. Saturday classes meet from 8:00am to 4:00pm. The state-approved training includes classroom, hands-on lab and clinical experience, which takes place in a skilled nursing facility. Tuition is $525 including textbooks, workbook, and a binder. It’s the student’s responsibility to purchase uniform, shoes, and other supplies for the course. During 100 hours of nurse assistant training at Dixie Applied Technology College, students gain an understanding of basic nursing skills, personal care, mental health and social service, basic restorative services, caring for the cognitively impaired, and residents’ rights. A combination of theory and practical training also equip students with competencies, such as checking vital signs, collecting specimens, patient hygiene, bed making, positions and transfers, infection control, range of motion, and assisting patients with activities of daily living. The clinical experience at a nursing facility accounts for 16 hours of the total program. Students need to clear a criminal background check, drug screen, and TB skin test before commencing the clinical practicum. Tuition is approximately $576 plus extra for scrubs, fingerprinting, urine drug test, application fee, graduation fee, and the state exam fee. The state-accredited nurse assistant training at Rocky Mountain Healthcare Academy prepares students for the state nurse competency exam. Small class sizes allow individual attention and affords students a greater chance of success on the exam. Flexible day or evening classes accommodate busy schedules. The four-week training comprises of classroom, lab, and clinical training to help students succeed on the knowledge and skills components of the state exam. The curriculum covers essential topics, such as basic nursing skills, personal hygiene, emergency procedures, patient wellness, patient rights, mobility, range of motion, and law and ethics. Rocky Mountain has earned the record for the highest pass rate in the state due to the qualified instructors’ commitment to students’ success. The tuition is $450 plus extra for textbooks, uniform, and other supplies. Rocky Mountain Healthcare Academy assists graduates with job placement after their successful completion of the state exam. At Dixie State University, more than 200 students graduate from the comprehensive nurse assistant training every year and go on to work in long term care facilities, hospitals, and home health agencies. The curriculum includes hands-on lab in the school’s fully equipped nursing laboratory, interactive classroom instruction, and direct patient care, during a clinical experience, at local long term care facilities. After completing the training, students are able to succeed at the Utah state nurse assistant exam and function effectively as an entry-level nursing assistant. The training emphasizes infection control procedures, observation and reporting of abnormalities, specialized skills required for acute and long term care, and respect for patients. Students also learn how to utilize effective communication techniques, follow HIPAA guidelines to protect patient confidentiality, and apply the principles of restorative and rehabilitation nursing care. The 4-credit course covers 75 hours of classroom and lab plus 24 hours of clinical experience. Applicants must pass a TB skin test, and Hepatitis B immunization is strongly recommended. The tuition is $783 plus $30 for the lab fee and $100 for the textbook. Other costs include uniforms, liability insurance, blood pressure cuff, and a stethoscope. Graduates can schedule the state exam at the school’s approved testing center. Utah CNA Centers boast five locations across Utah and will be opening a center in St. George in 2015. The CNA training experts facilitate 64 hours of classroom instruction in the state of the art facility and 16 hours of clinical instruction at local health care facilities. Students must be at least 16 years and proficient in written and oral English to enroll in the program. In accordance with state guidelines, the administration requires 100% attendance for all 80 hours of the class. Students must have a BP cuff and stethoscope on the first day of classes and wear scrubs throughout the clinical experience. The tuition is $345 and includes use of a textbook, workbook, and online resources. A practice exam key is available for an additional $5. The 8-week CNA program at Southern Utah CNA includes face-to-face lectures and clinical sessions. The program prepares students for success on the UNAR CNA certification exam to become state certified nursing assistants. Graduates will be able to care for a variety of patient populations, understand medical terminology and abbreviations, and pursue continued study in the field of nursing or patient care. Experienced instructors use lectures, group discussions, reviews, demonstrations, projects, and continuous learning assessments to cover topics, such as vital signs, patient safety, basic nursing skills, laws and ethics, feed and nutrition, and rehabilitation and restorative techniques. Classes meet Monday, Wednesday, and Friday from 6:00 pm to 10:00 pm in the classroom. Clinical sessions are on Saturdays – various schedules are available. Tuition costs $495. Supplies and the course workbook cost an additional $64. The textbook is available for rental ($20) or purchase ($36). Other state-accredited CNA training providers in St. George, UT.